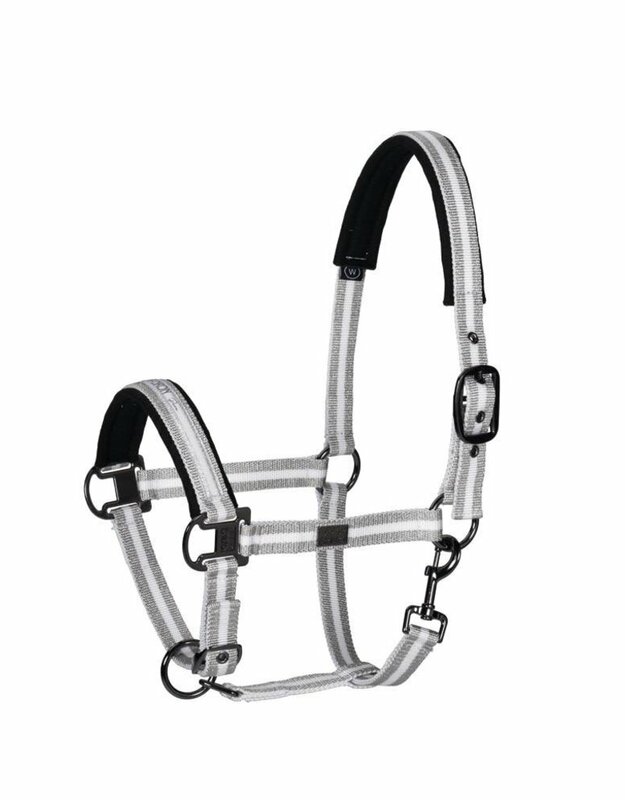 Stunning limited edition Eskadron platinum pure headcollar made out of tear proof webbing in silver metallic look. Rub protection over poll and noseband. Metal buckles with black satin finish.